Dealing with a bot, spammer, or hacker constantly hitting your site? Depending on the severity it could have a big impact on your visits and bandwidth, in which case you might want to try blocking them. Previously you had to reach out to our support team to block IPs, but you now have the ability to do this in the MyKinsta dashboard. 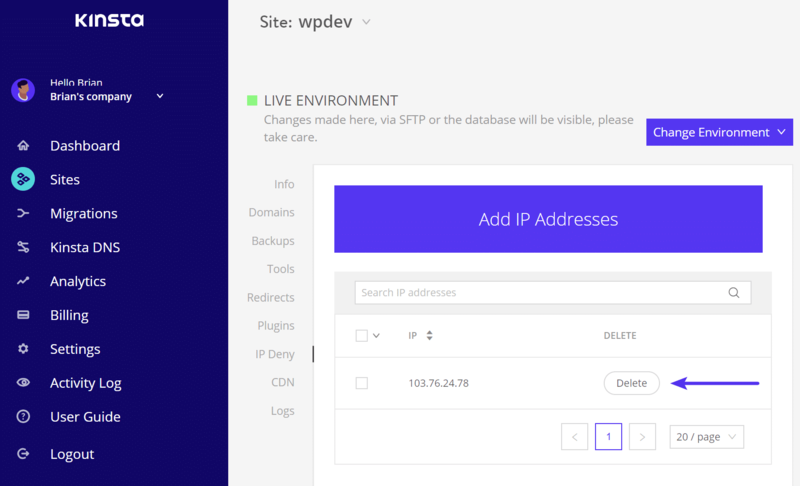 Follow the steps below on how to use the IP Deny tool. Curious who’s visiting your site the most? 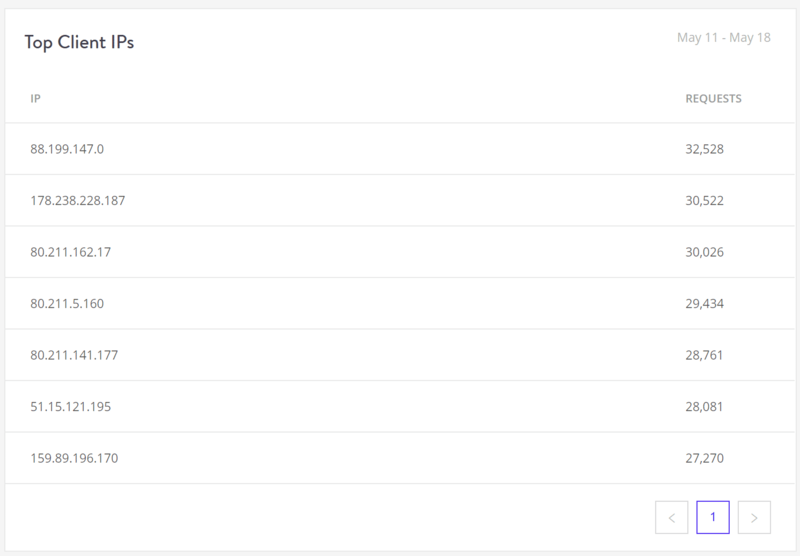 There are a few places in the MyKinsta Analytics tool that can help you. 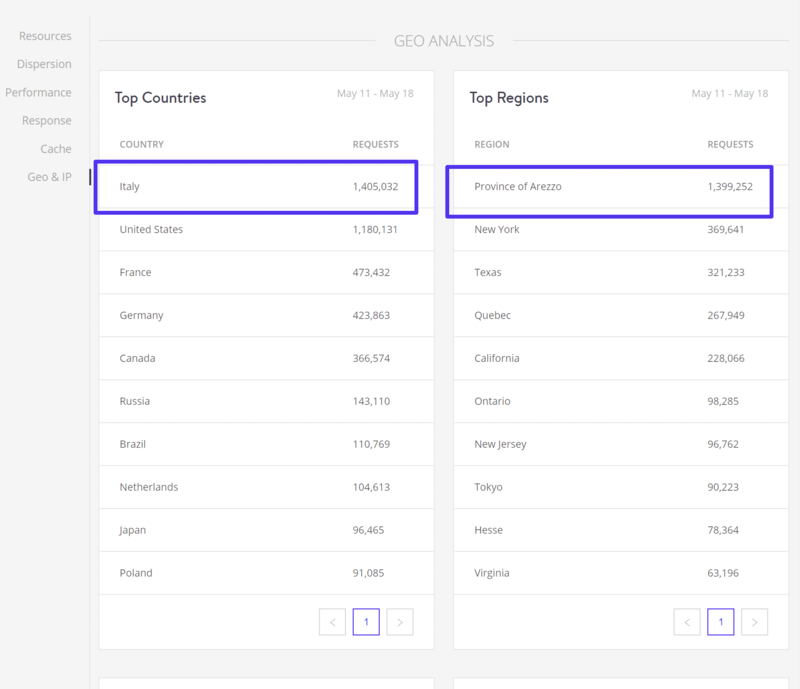 The first is the “Top Countries” and “Top Regions” under the Geo Analysis section. We’re going to use an example from a client’s site that was having issues. They are based in the US, but suddenly noticed a surge in bandwidth and visits from Italy. Within a seven day period, they got over 1.3 million requests from the “Province of Arezzo.” So already this looked a little suspicious. Looking at the top 10 client IPs we could see that there were massive amounts of requests from a few IPs. 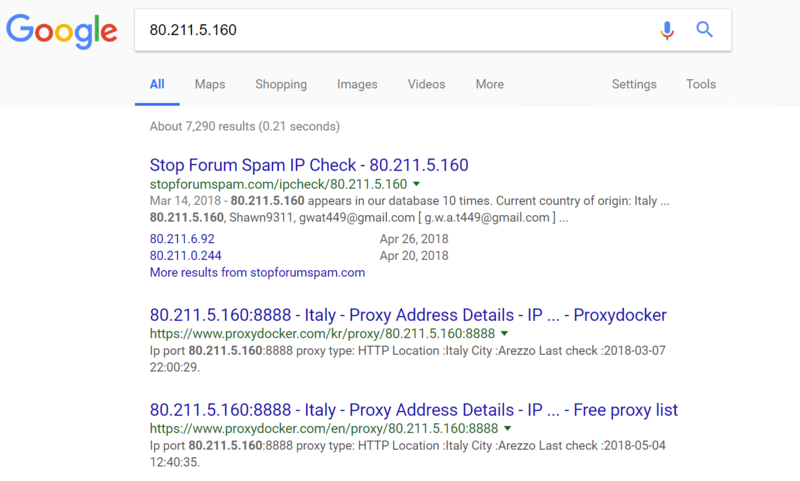 A few searches in Google of the IPs and we can see that many of these are probably proxy IP addresses from Italy. So most likely they are bots or spammers in which case you can block the IP addresses. You can then monitor your visits and bandwidth over the next few days to see if it resolves your problem. 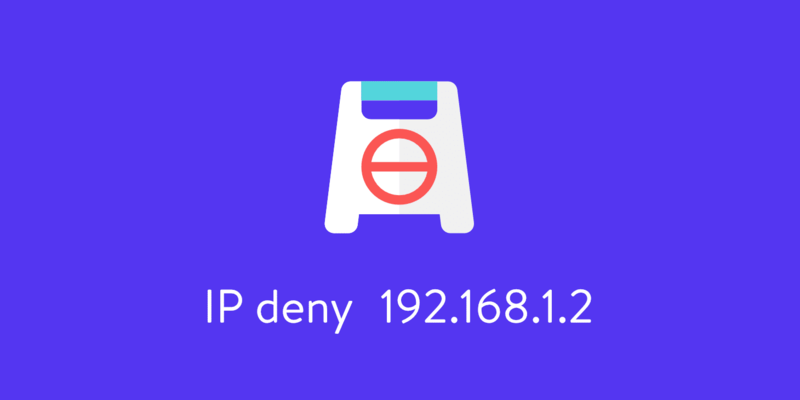 Important: The IP Deny tool is a powerful feature and if used incorrectly could block a legitimate service or individual. If you have questions about a certain IP address, please reach out to our support team. Login to MyKinsta and drill down to your individual site. On the left-hand side click on the “IP Deny” tool. 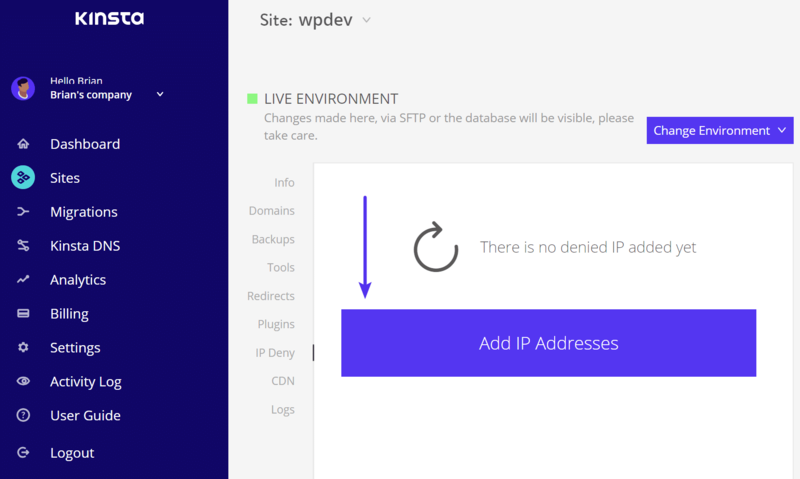 You can add IP addresses here that you want to block (deny) from accessing your site. You can also see a current list of IPs that have already been blocked. You can then delete an IP address from the IP Deny tool at any time by simply clicking on “Delete” next to it. If you think you’re undergoing an attack, this could be a never-ending process of blacklisting IPs, which in some cases doesn’t solve the problem fast enough. Here are some additional things you can try. Kinsta does support geo-blocking in which you can block traffic from an entire country. You will need to reach out to our support team for this. Check out more details on location-based traffic denial. 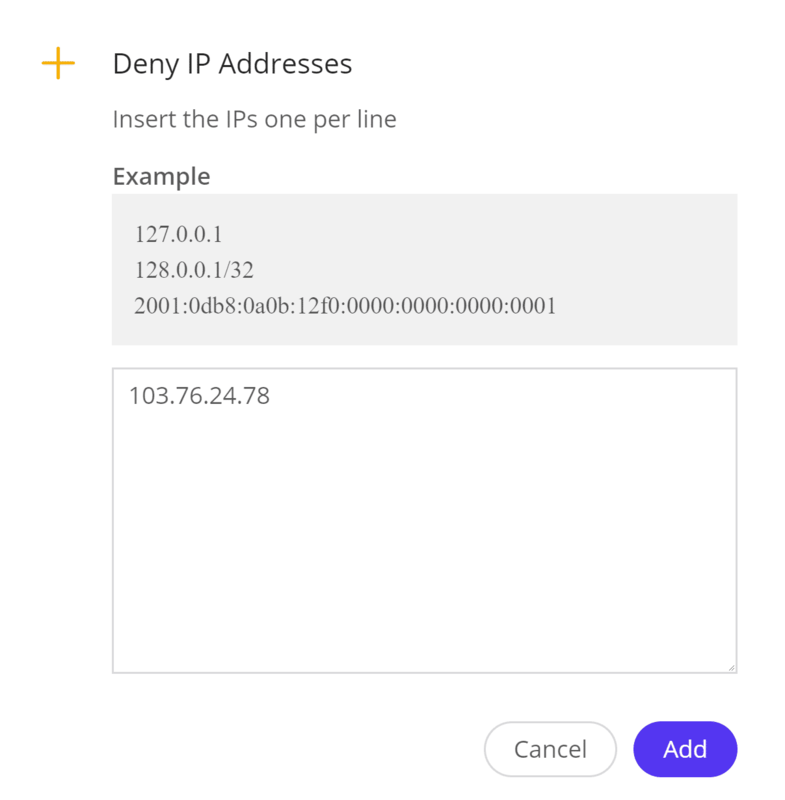 A lot of DDoS attacks when blocked in one area, will simply pop up in another, or change IPs and proxy addresses. So in this instance, it makes sense to take advantage of a DDoS solution which could help automate the process with their already built-in rules compiled from years worth of data. We recommend Cloudflare or Sucuri.